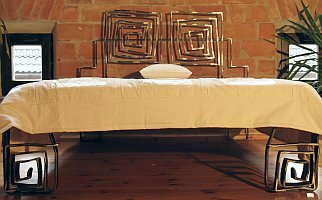 Bed is covered with protective-colorless-matt varnish against rust. 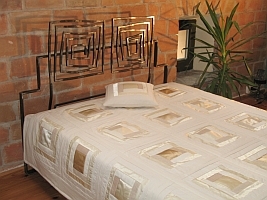 It consists of five elements (front, rear, 2 sides and reinforcing fillet in the middle of double beds). length: 203 cm + 11 front feet. Price does not include the frame and the mattress and the supply-cost of courier delivery is 130 €. Racks in our offer from 33 €.